The games range in difficulty and complexity from age 4+, are for 2-6 players and they take between 5-30 minutes to play. See description below for more details about the games and how to play. The price shown includes V.A.T. and 2nd class post & packing within UK. 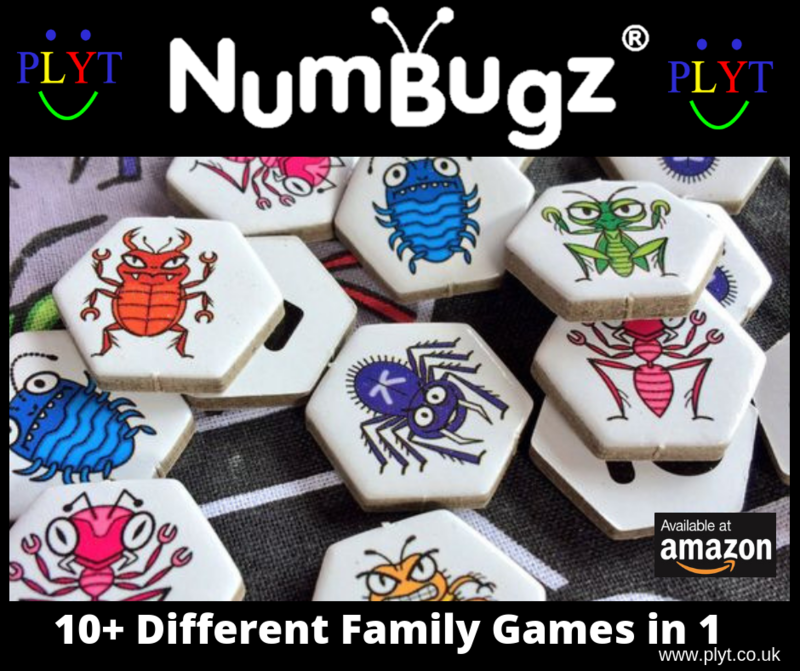 NumBugz is available from amazon or to purchase directly from us please click Add to Basket below. NumBugz is a game platform that offers great flexibility and variety with 13 different games for you to choose from. Games vary in complexity and type (see the game rules page). 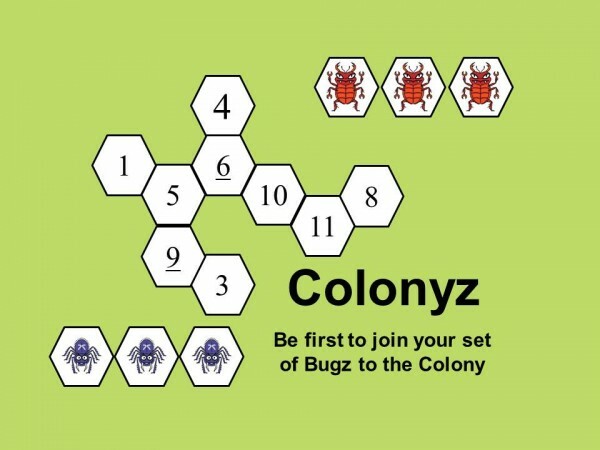 Colonyz – a scrabble-like number game – can you be the first to link all of your Bugz to the Colony? We put the age rating at 4+ because there are some games that are suitable for that age but others that will require the help of someone older – and as young players get older there are more games they can start to play. 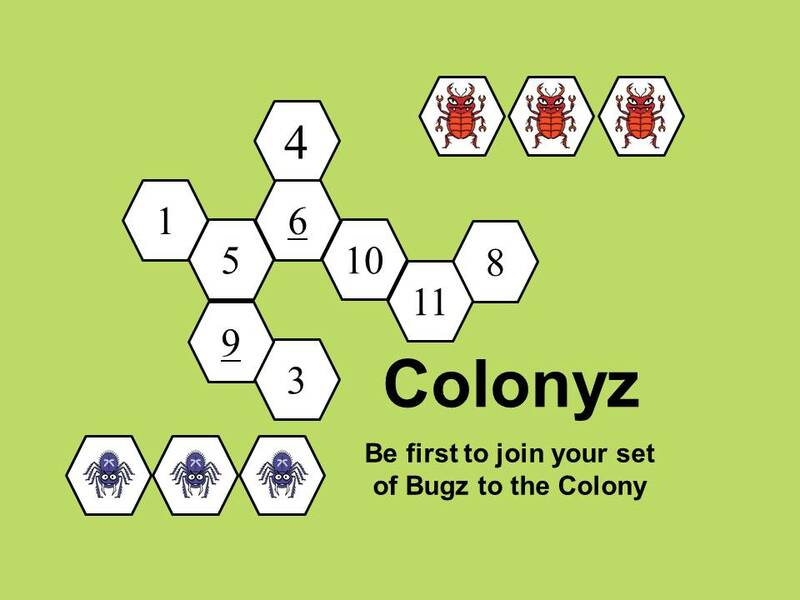 The pack contains only the rules for Colonyz and all the other rules and videos of how to play are available on the rules page. 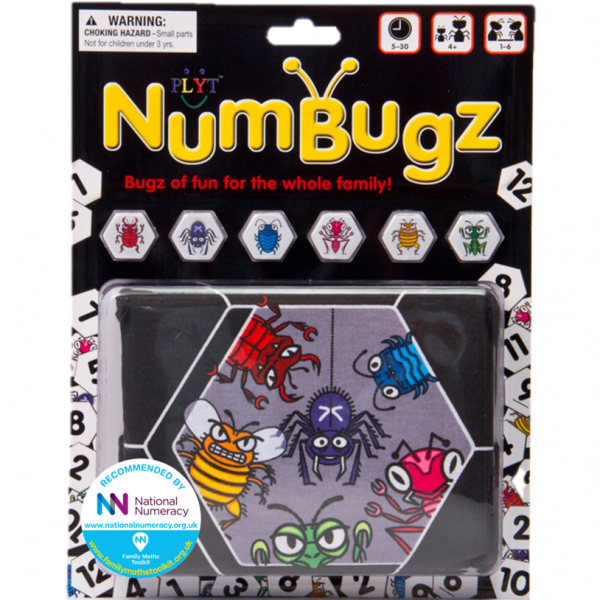 NumBugz is recommended by National Numeracy and leading maths consultants. 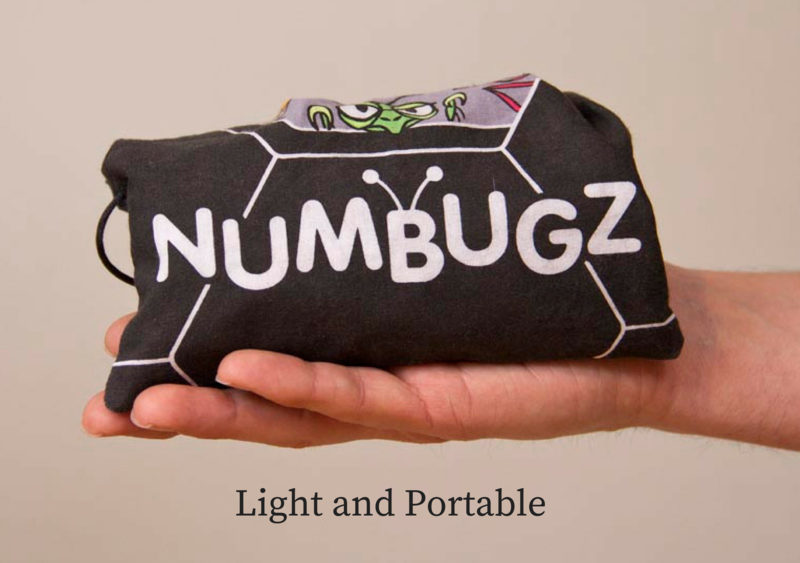 These bug counters come in a quality small drawstring bag. They are bright and colourful which my daughter loves (she has named them all) so she’s really happy to play with them & they are very tactile. There are so many fun games to play with the bugs – we are working our way through the videos. Great value for money & buying another as a gift. They are incredibly flexible. The games come with their own instructions, but they are designed so that you can change the rules to adapt to younger or older players. The flexibility of these games really wowed me. Numbugz Colonyz is kind of like scrabble with numbers instead of letters. Once again, this is a game that you can change to accommodate different skill levels and interests. This game can be played solo, or with as many as six players. The packaging and design is really great – the pieces come in a quality drawstring bag that will stand the test of time in my laptop bag. The colours of the instruction book are really bright and enticing – I was definitely excited to open the game and get to playing. When teaching, I always end up printing off lots of numbers between 1 and 10 to play games with, and even if I laminate them they soon become dog-eared and tatty. The Numbugz pieces are so versatile, and the fact that they are hexagonal is great as they link together too. 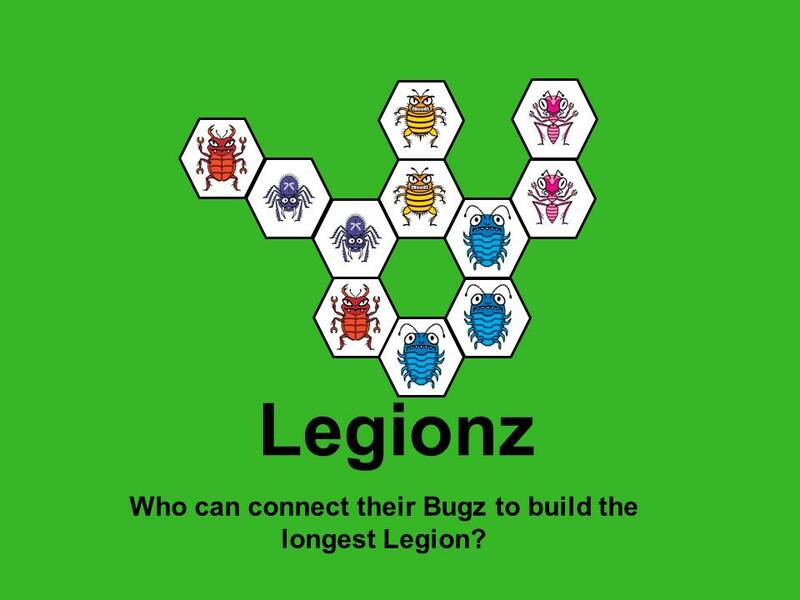 By using these bugs and the 30 second timer provided, a huge number of different games and activities can be played. 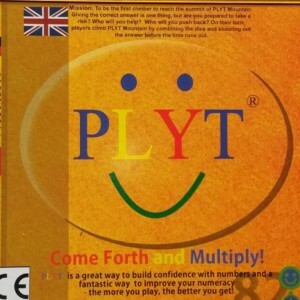 PLYT have come up with 7 different games, and the instructions and videos are available on their website. 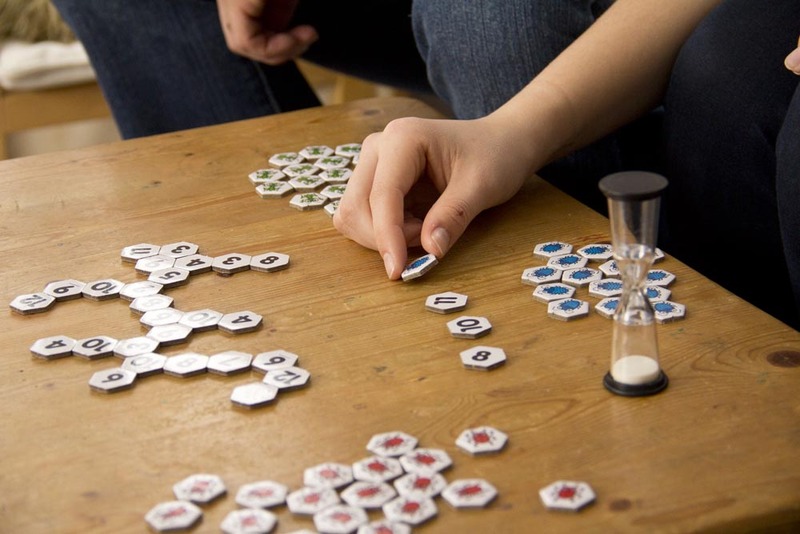 The main game suggested by PLYT is Colonyz, which is essentially Scrabble with numbers, and the instructions for this are given as part of the game. I have to admit, the instructions were slightly confusing, but as soon as I watched the video online, I understood how to play. 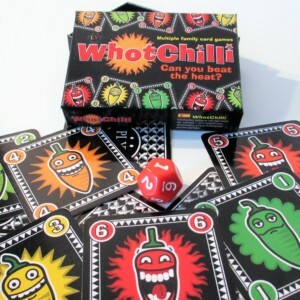 The game can be differentiated for different abilities, so even the whole family can play. For the lowest ability players, you can simply link together numbers that have a difference of 1, but higher ability players have the chance to set up equations too. 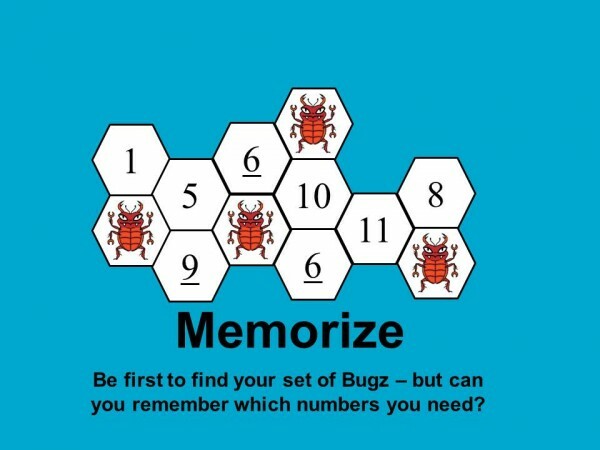 One of my year 6 tutees needed to look at sequences, and Numbugz formed the backbone of our lesson. I used the bugz in a starter activity where my students had to form sequences that went up in 3s, or down in 2s. We then played Rumbugz, which is based on the card game Rummy, and involves making a set of 4 sequences. There were a few minor issues we found that weren’t answered in the instructions, so we had to adjust and add to the rules a little bit, but my student really enjoyed the lesson and asked to play it again the next week. My three-year-old also loves creating piles of the same colour or number, or playing pairs with the game pieces. As she gets older, it will be great for her to play with sequencing the numbers. This is a perfect game for my grandkids. Because the games range in complexity, there is a perfect game for each one of my grandkids. From complex to easy. We have had so much fun playing with the bugz. 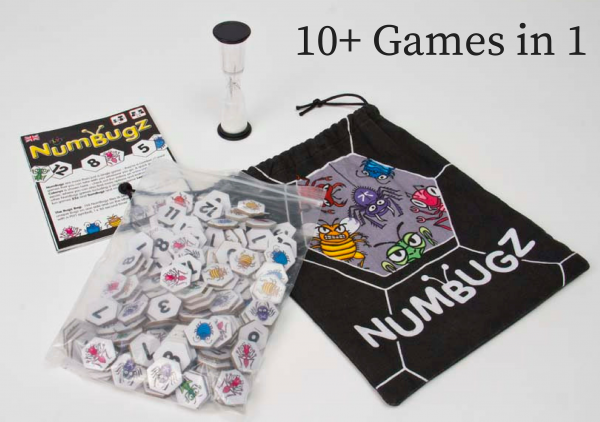 NumBugz is great as a travel game as it also helps children build their confidence and to improve their numeracy. It can be played many times over and there is flexibility for you to make up your own game/rules. I would definitely recommend this game. I have had great fun trying out all the various games and thoroughly enjoyed them all. 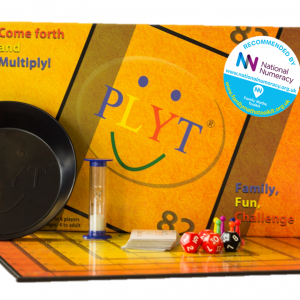 Colonyz itself is ingeniously differentiated and – as with PLYT- enables adults to play with children on a level playing field due to the varying complexities of the calculations chosen. 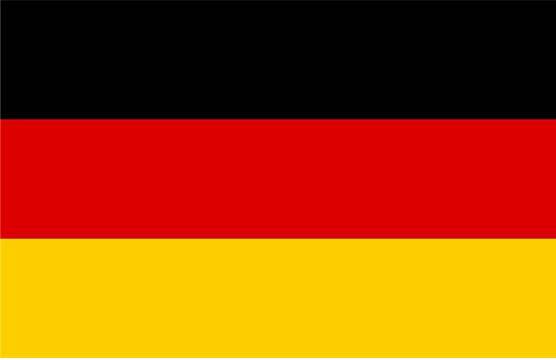 The online videos are particularly helpful – I have to say that the ‘quick rules’ were initially confusing. 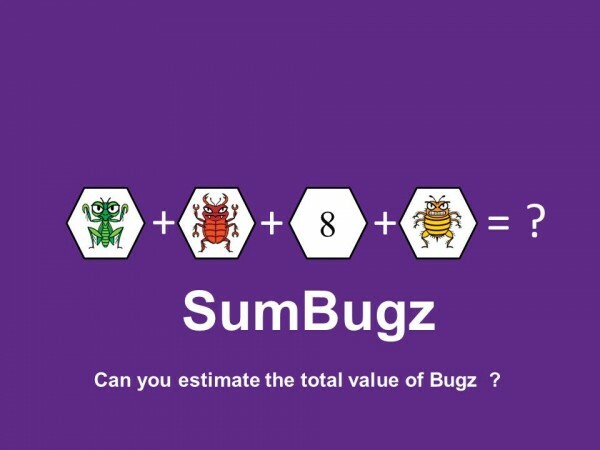 On the whole, each game develops different mathematical skills. The bugs – and their characters! 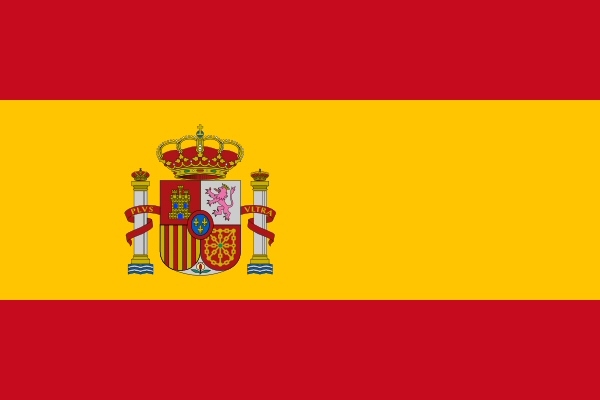 – are appealing and cleverly extends into the names of the games. 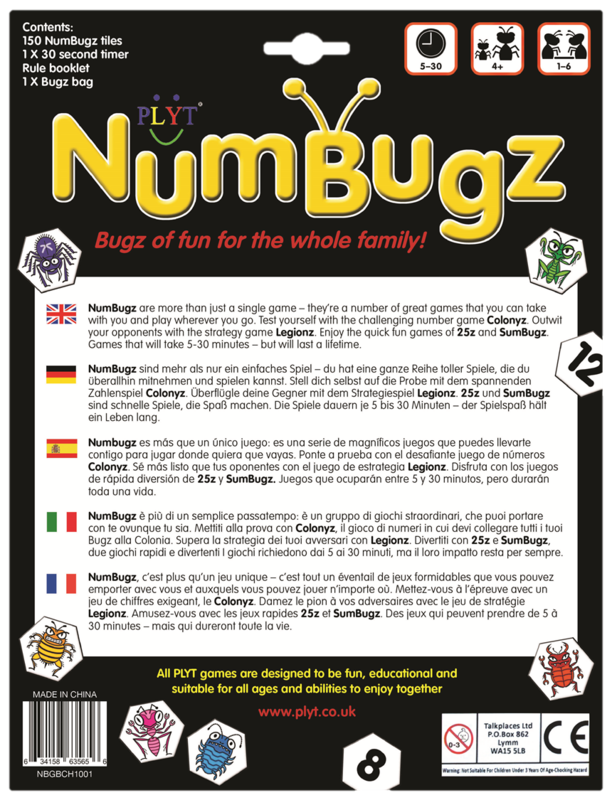 My husband and I played all the games and tested their potential so I am very happy to recommend NumBugz for inclusion in the National Numeracy Family Maths Toolkit alongside PLYT. 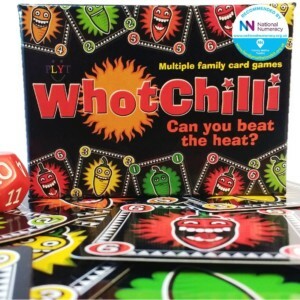 Well done on your ingenuity in continuing to produce games which are mathematically sound and yet so much fun that children are more than happy to practise their calculations and – as importantly – their reasoning and thinking skills.